Tokiwazu Mojibei V spielt das Shamisen. This instrument belongs to the family of luth (like oude). It was introduced to mainland Japan from Ryukyu (actual Okinawa) around 16th century, so rather recent among Japanese traditional instrument. It has widely appreciated since then for accompanying Kabuki theatre, Joruri (traditional marionette) and popular songs. 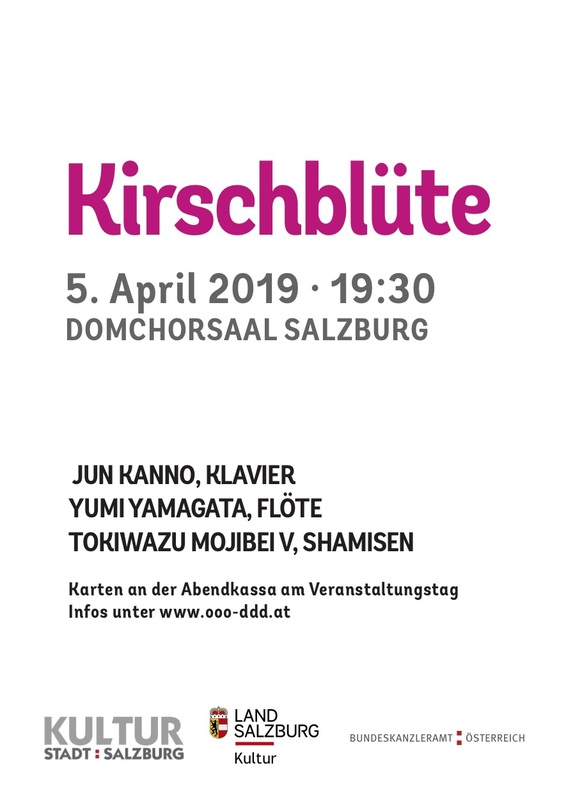 We are so happy to present this concert inspired by the fruitful collaboration of western and Japanese traditional instrument. You will discover the surprisingly successful harmony of those instrument.